Joy may not be filled with Christmas cheer—what it does have, however, is one of the toughest underdog fights to the top, not to mention excellent performances, a surreal touch, and a 1990’s classy wardrobe to kill for. Joy tells the story of a female entrepreneur facing every hardship imaginable. In the scrambling chaos to make ends meet, Joy returns to the creativity that fueled her childhood and invents designs for a self-wringing mop. From there, the climb in the business world is arduous and heart-wrenching as Joy gets thrown to her feet again and again, but ultimately it’s her wits and stubborn streak that wins her the day—and the audience’s heart. David O. Russell’s partly fictionalized spin on the real-life tale of entrepreneur Joy Mangano can be off-putting at times with the juxtaposition of an inconsistent dreamlike tone and the real-life hardships women face everyday. The choice of Joy’s grandma as the narrator is questionable as well as other elements that seem like remnants from a leftover script. Joy’s family is so eccentric that they become caricatures that alienate the audience in their mainly functional, antagonistic roles. However, there’s still much to love with a character that surmounts all odds and truly does not know the meaning of giving up. Joy has ever-faithful support from her best friend, her ex-husband, and her children, but at the end of the day Joy is the sole victor and author of her success. Similarly, even with a talented ensemble cast, Jennifer Lawrence shoulders much of the movie herself as the only truly fleshed out character. She has an immediate transparency that allows the audience to see her gears spinning and read her every determined thought. Robert De Niro plays his flawed-to-a-fault character with subtle humor, and Bradley Cooper gives an intense performance of the business executive who kick starts Joy’s business. 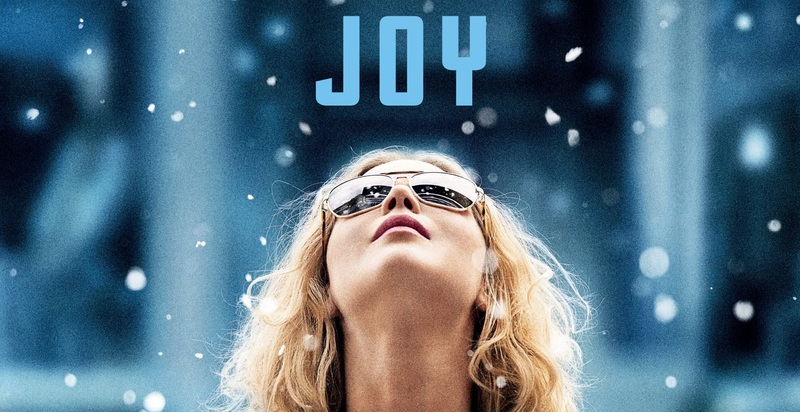 Though predictable in its girl-power and David-versus-Goliath themes, Joy focuses on the tenacity and hard work in the journey more than the feel-good destination—an important movie for anyone with big dreams. Posted on December 9, 2015, in Movie Reviews. Bookmark the permalink. Leave a comment.